The Tarbes table lamp, which comes in a vintage style, comprises an E27 socket, a black cable with a switch, and a delicately worked metal basket in a diamond shape. 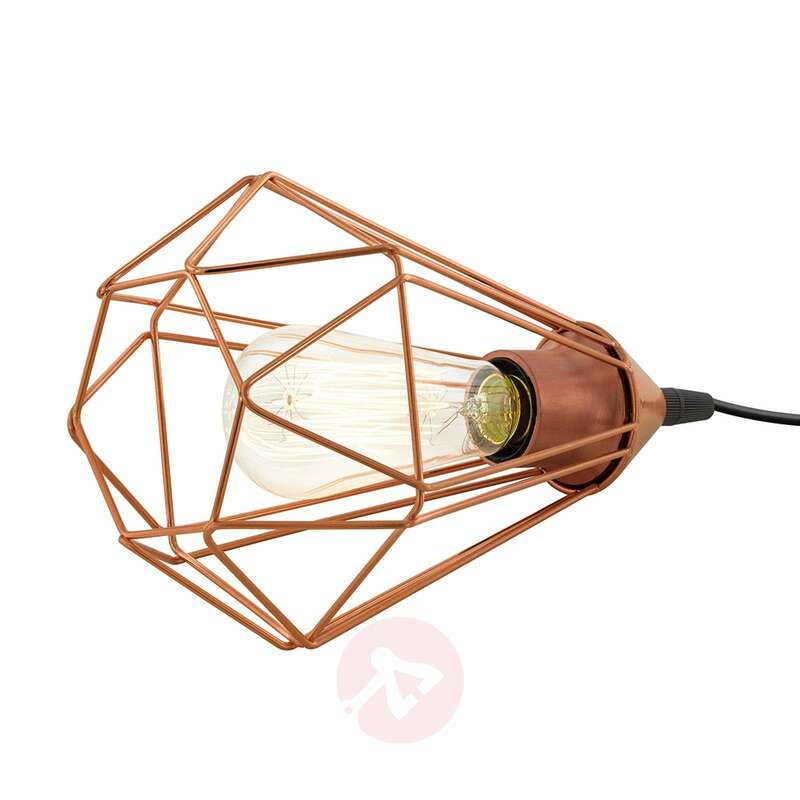 The metal basket features a glossy copper finish, which creates a fabulous contrast with the black cable. However, the simple design of the light means that the main focus is on the lamp itself and the light that it emits. 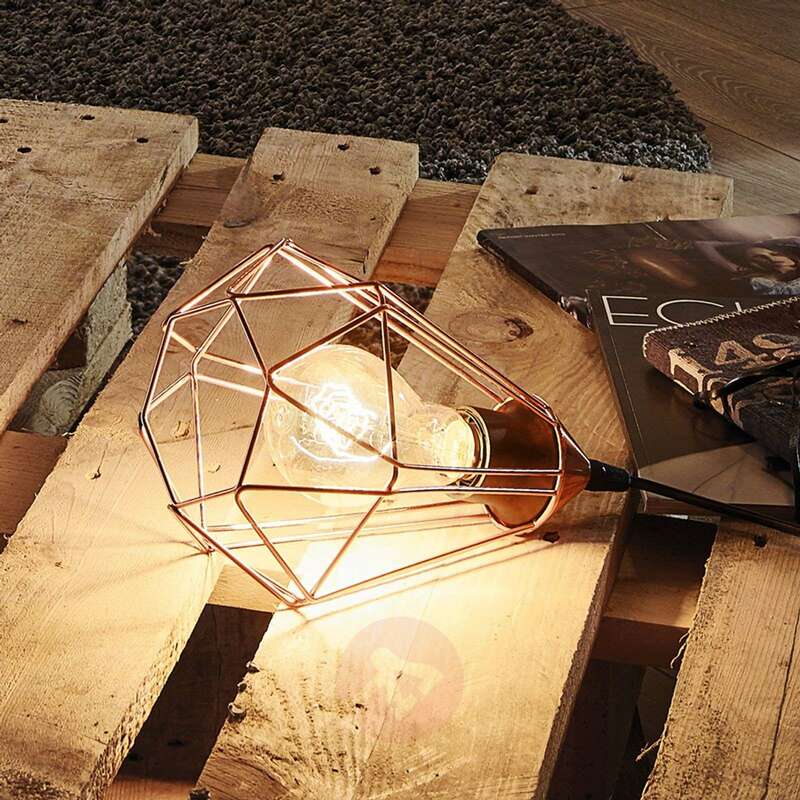 Thanks to the metal basket, the light shines into the surrounding area with great effect. The vintage-style globe lamp can be found under “Accessories”. Thank you for your e-mail. Yes, this light simply plugs into the wall and the on-off switch is located on the lead between the light and the plug. 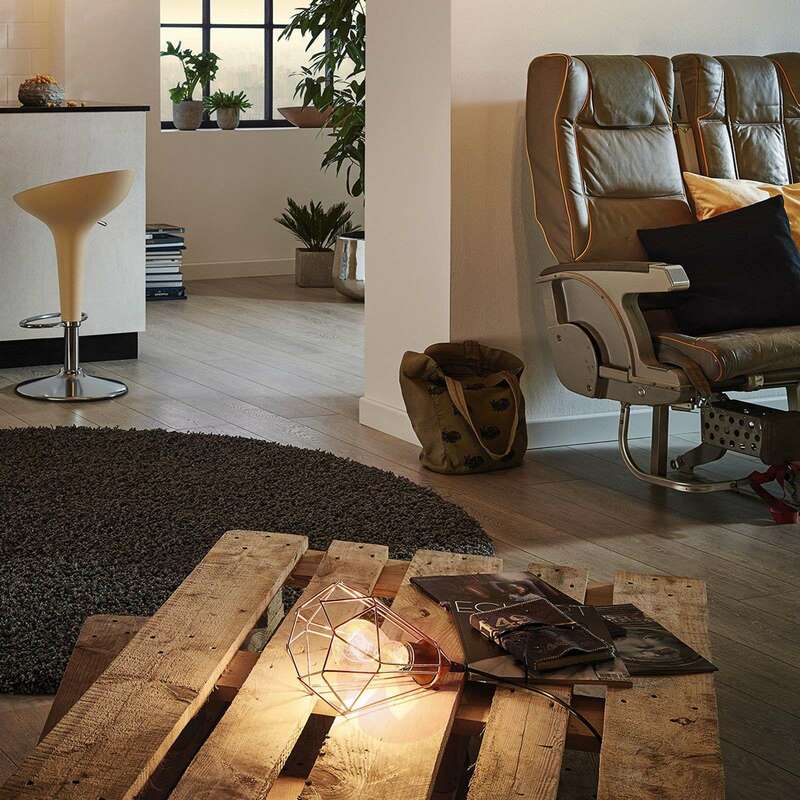 The lamp is perfect for modern, but cozy rustic rooms.